Log in to your Ning account. Your main Ning page appears. Click the Manage link in your network’s navigation bar. Click the Feature Controls link below the Your Members heading. 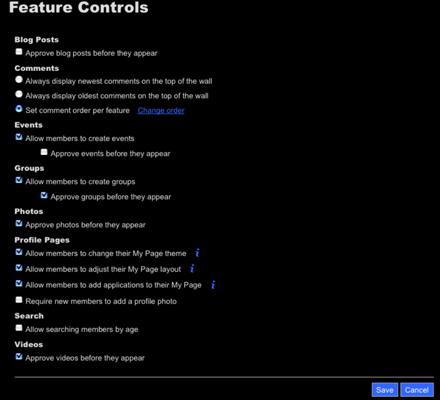 The Feature Controls page appears. Select the check box next to Enable Music Player Download Links. This option is deselected by default. If you allow members to download music that you add to the Music Player, nothing prevents distribution of copyrighted music tracks among the members through your network other than their own restraint from uploading copyrighted content or, if they find it on your network, from downloading it. If you spot a song that you suspect to be material posted without permission from the copyright owner, you can (and should) delete it from your network.